An educational game, perfect for a gift. 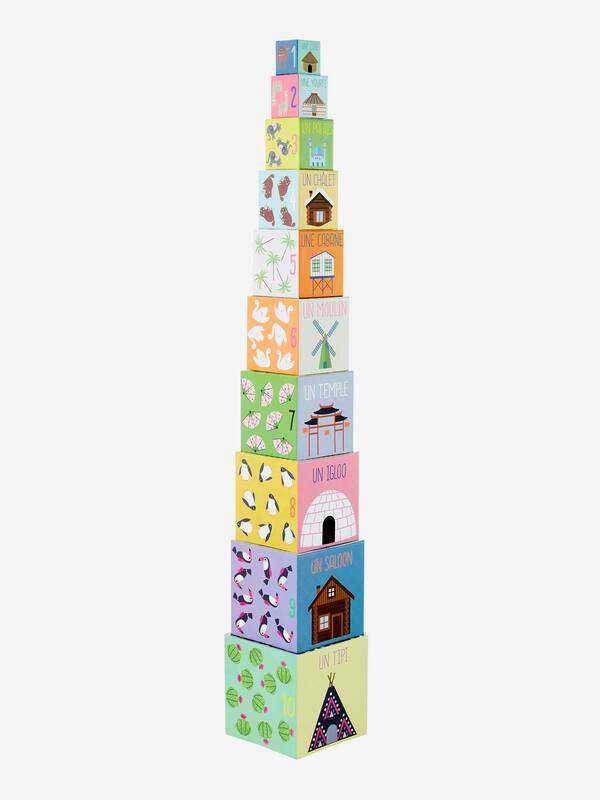 The aim of the game is for baby to stack the cubes from largest to smallest and create a giant tower! SIZE of large cube: 16cm approx. Built height of tower: 104cm. Cubes illustrated with different people, homes, countries and numbers 1 to 10. Engages baby's senses with colours and shapes. Helps develop dexterity and hand to eye coordination skills. Encourages logic skills and boosts confidence levels.